Are you looking for a book that digs into who Paul is and then naturally works its way to the 13 books conservative scholarship attributes to Paul’s hand? You will want to check out this accessible volume that is widely used by seminarians and pastors alike. Polhill is a highly respected Pauline scholar, having also produced a commentary on Acts, who is the perfect choice for this volume. He first fleshes out Paul with penetrating insight. You get an idea of the key elements of Paul’s early history that molded him for the work God had for him. Roman citizen, Jew, and Pharisee, Paul was a complex person. His zeal was legendary, first for the bad and then the good. His meeting with Christ, which Polhill devotes a whole chapter, changed everything. 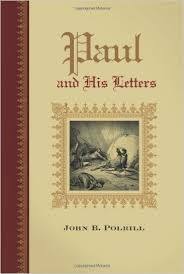 As the book develops, Polhill traces Paul through Acts and begins tying his letters to the narrative. Some reviewers, who feel that he offers too brief a commentary of these books, miss the point entirely. It is not a commentary at all, but a description of introductory and background issues from Paul’s life. The point is showing the essence of each letter, and what, humanly speaking, brought about the need of the letter. For its actual goal, the volume wonderfully succeeded. It occasionally traced rabbit trails of more eccentric scholarship, but usually sided on the conservative side. This book will find its home next to F.F. Bruce and Conybeare and Howson on my shelves. Plus, it is the most recent of the three. I highly recommend it!